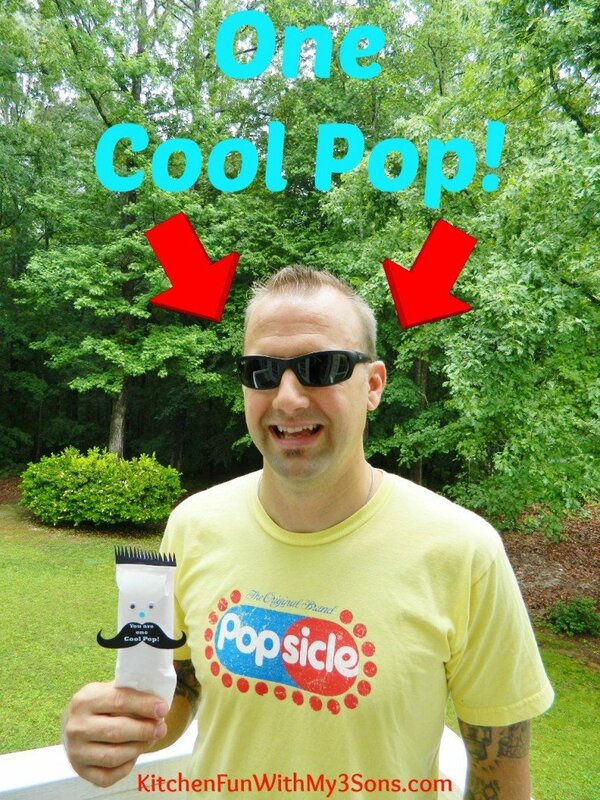 Father’s Day is coming up & most dad’s love Popsicle’s! 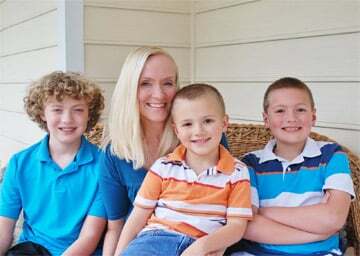 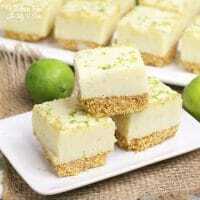 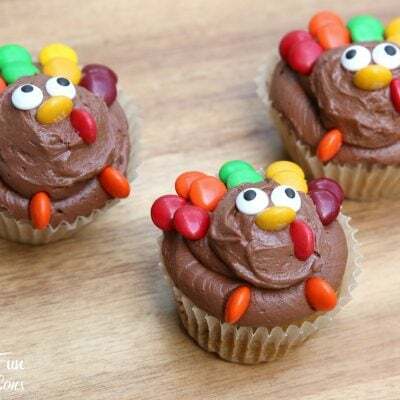 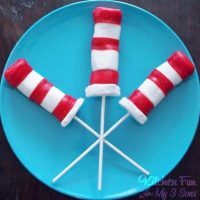 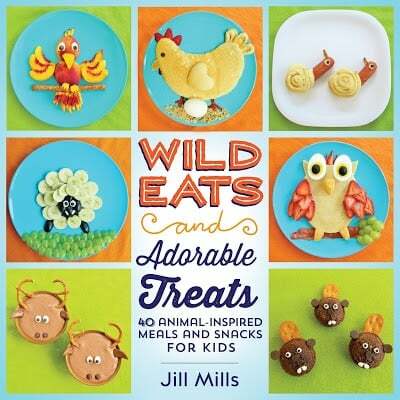 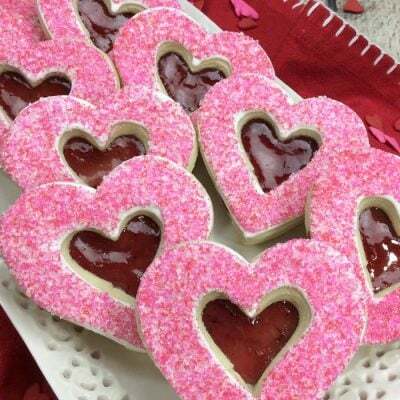 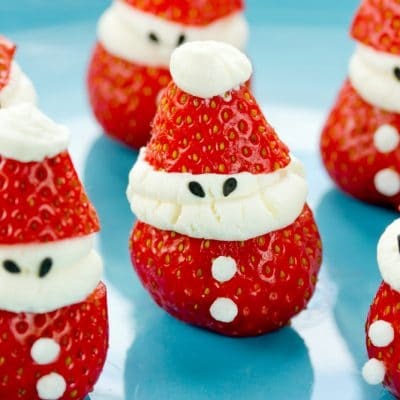 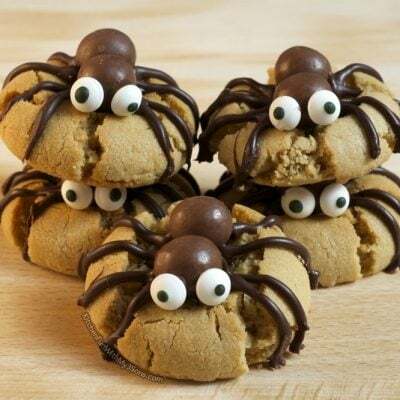 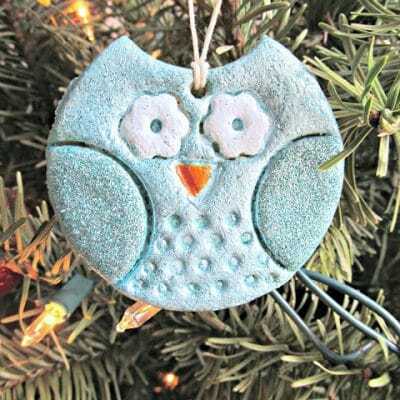 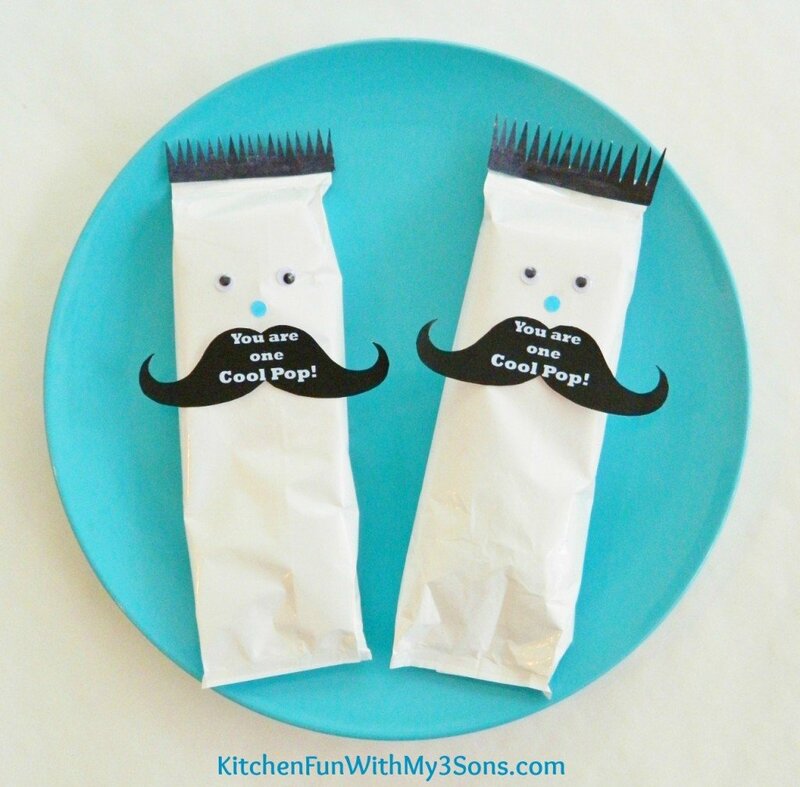 We created these fun ideas for the kids to make there dad’s. 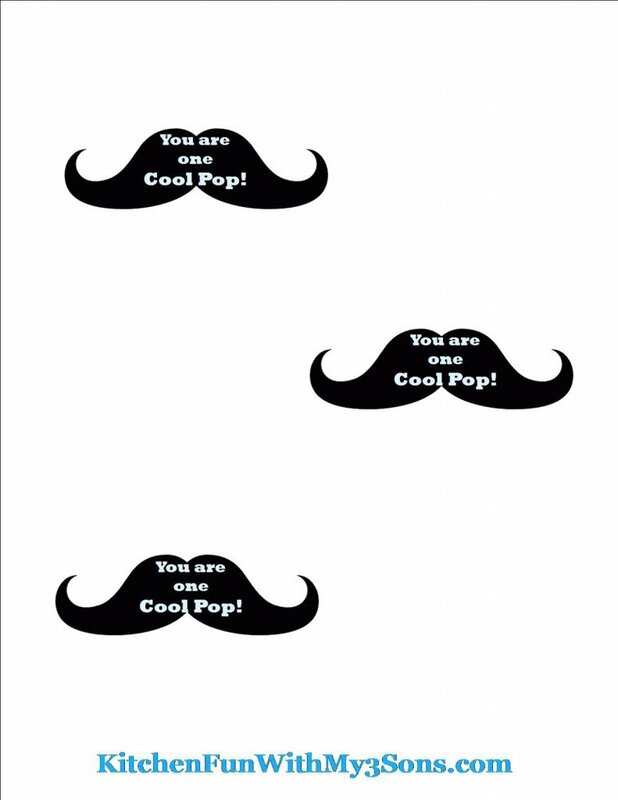 For these fun “You are one Cool Pop” Popsicle’s you just print off our mustache printable below, cut it out, & tape it on the front. 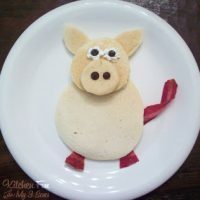 We also glued on googly eyes & cut out hair from black construction paper. 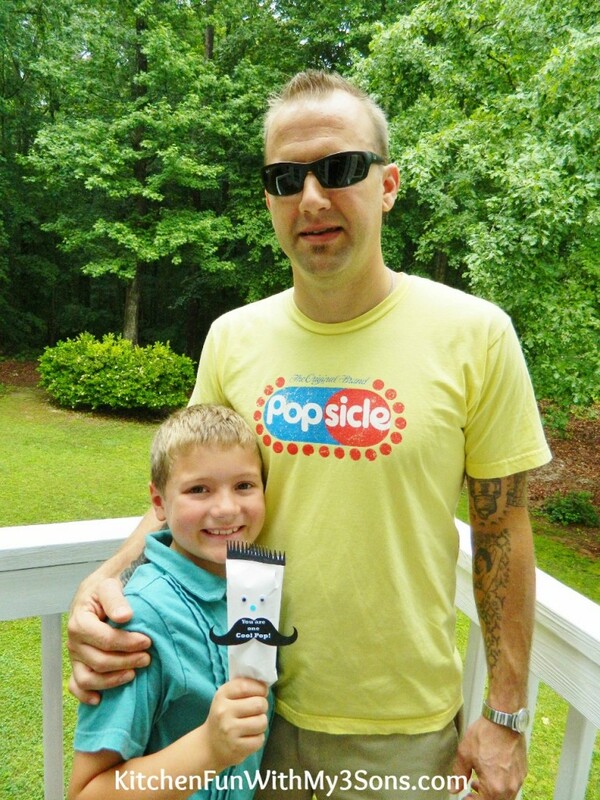 Make a nose using a marker…. 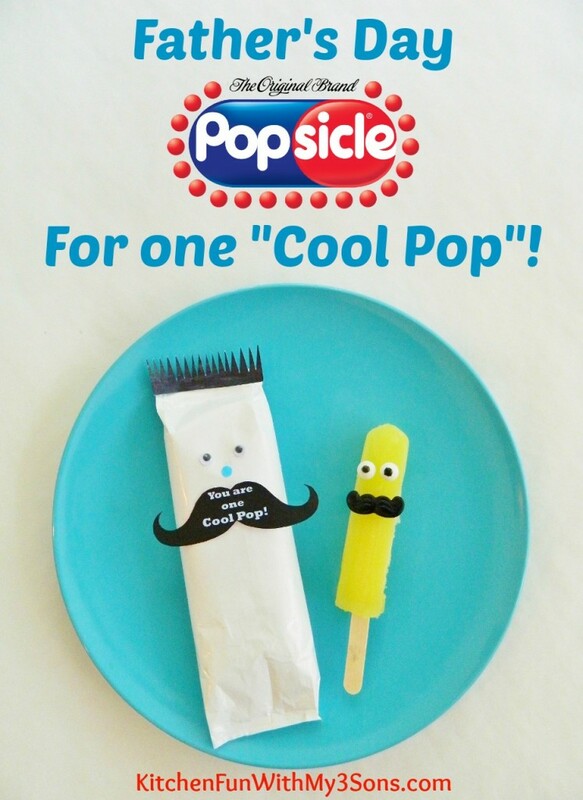 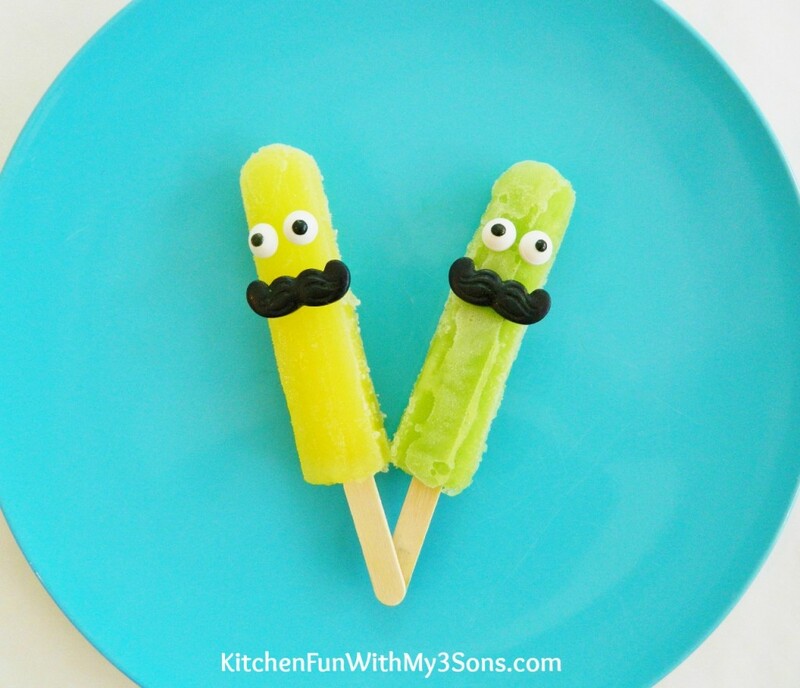 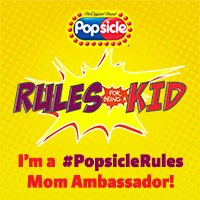 You can also take the Popsicle’s out of the package & place on edible candy eyes & mustaches….